Sump pumps keep your basement or crawlspace from flooding when rainwater filters through the soil and collects around a building’s foundation. These devices are built into a hole situated at the lowest part of the basement floor. When the hole, or pit, fills with water, the pump sensor is activated and the pump starts to carry the water through pipes away from the building. The water is deposited far enough away to safely continue flowing away from the foundation. In order to keep the water flowing in the right direction, a device called a check valve is installed on a discharge pipe just above the tank. Sump pumps keep your home from flooding only when all of its individual components are in good working order. If a professional plumber hasn’t serviced yours in a few years, give John’s Plumbing & Pumps, Inc a call. We’ll send a sump pump specialist to your home or business in Spanaway for a sump pump installation or repair service. What is a sump pump? A sump pump removes water from a water collection container called a sump basin. Sump pumps are very common in older homes and in rainy regions. These devices keep the area beneath your home from flooding, which helps protect against foundation breakdown and mold. 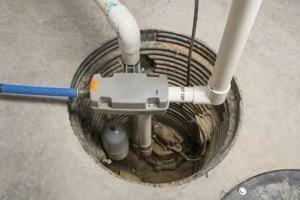 Do I need a plumber to test my sump pump? Your sump pump is located either in the basement or crawlspace, so if you can find its exact location and its source of power, you may not need a plumber to test it. However, be sure to leave the repairs to a licensed professional, otherwise, you could have a bigger problem on your hands. A sump pump receives its power from an electrical outlet. So, before you can test it, check to see if it’s receiving power. Locate the plugs (there will be two) and remove them from the outlet. Once they are both unplugged, plug the one for the pump back in. The power should come on immediately. If this is the case, you may continue testing. The second part of the test is running water through the system to make sure the water is actually being pumped out. Even if it sounds like water is moving through the pipes, there’s still a chance it’s not fully drawing the water away from the house. When the pump is operating properly, water is being pulled through the grate, transferred through the pipes, and forced away from the building. 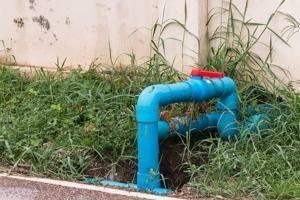 You will have to locate the end of the discharge pipe to fully ensure that the water is going where it’s supposed to. My pump failed the test – what now? Testing plumbing systems can be tricky if you’ve never done it before. So, if your sump pump doesn’t seem to be doing its job, remember that our team is known for being available when every other plumbing company is booked. Call John’s Plumbing & Pumps in Spanaway to schedule a prompt sump pump installation, inspection, or repair service. Sump pumps need to be working to their full potential in this region where directing rainwater away from our homes is a near-constant need. Our plumbing company has more than 60 years of experience installing and fixing sump pumps and other plumbing issues in and around Spanaway, so you can feel confident leaving your plumbing needs to us. Our fully-staffed crew of plumbing professionals at John’s Plumbing & Pumps are prepared to handle any indoor leak, flooding, or plumbing problem you may have. We happily take care of issues as simple as clogged toilets or drains and skillfully handle more complex jobs like hydrojetting and pipe installation, as well. John’s Plumbing & Pumps makes sure all repairs and installations are done thoroughly or we’ll return to correct it. Call today.